It doesn’t matter if you have beautiful face but if you have pimple on it. It won’t work even though you apply make up on it. It is necessary that you clean your skin and take care of your food habit. 1. Never break pimples to get rid from it. Because when you break it serum come out from it and spreads on your face. Do not rub the towel on your face because it spread the pimple on your entire face. It is better to solve it on own. 2. Sandalwood powder is very beneficial to remove pimples. It not only cleans your face but also prevents pimple occurring it again. Put sandalwood powder on pimples for 2-3 hours and wash it with cold water. 3. Keep rosewater on your skin. It opens your skin pores and your face become fresh. You can also apply mixing with sandalwood powder. 4. Take sandalwood power, Multani mud and rosewater. 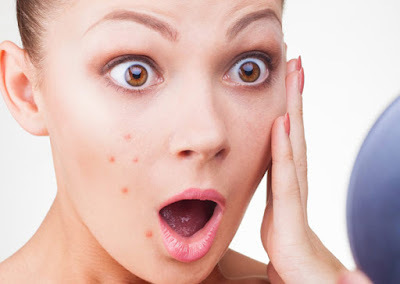 Put this mixture on pimples for 10-15 minutes and wash it with cold water. It removes pimple in one night or 2-3 days. 5. We use toothpaste to clean our teeth but you can also use it to clean pimple. If you put it on pimple overnight then it will dry the pimple. 6. Lemon juice is effective way to remove pimple. You can get relief by doing massage for 10-15 minutes. If you feel burning your skin then do not use it directly. You can use it with water or sandalwood powder. 7. You can apply lavender oil on your face. It removes pimple overnight. It is very effective way to remove pimples. 8. Take cinnamon and honey. Mixed together and apply it on your face. You can make a paste from it and apply on your face.